Marketing Club is one of my favourite services. I love the enthusiastic participation of everyone in the group and I am gratified by the positive steps that the business members take as a result. Business owners say they benefit from a sustained focus on their marketing over the year. Marketing Club is designed to help you find 'clarity' and 'certainty' in all areas of your business development. The primary aims of this long-term programme are to help you to do more business and to do that business on your preferred terms. This translates to minimising wasted effort and/or budget on sales and marketing, making sure you are selling at the right price and achieving maximum customer satisfaction. We know this is aiming high, but justifiably so because our Marketing Club members are benefiting from the positive results. Strictly Marketing has provided me with the know-how and motivation to develop and implement a structured and focussed marketing strategy for my business. What we cover in Marketing Club? Workshops are held six times a year on dates/times agreed with the group. There is networking and meeting room space available before and afterwards. We meet at Dove Studio, Ellastone, DE6 2GY. Enjoy the extra encouragement via the peer support and feedback of other group members. Come along and address those hard, strategic questions: is your business approaching the best customers, in the best way, at the best time, with the best products? Is there more you could be doing? How will you find out what is working and what needs improvement? Make sure your ideas are put into practice in a structured way. "Many thanks for the speedy response - and really useful feedback. It's so hard to be objective when promoting your own business." "I think there's a lot of 'marketing tips' on offer through events and online, and people tend miss the point - one size does not fit all, and though general advice can be helpful, successful marketing needs to be right for your business and you personally. In the same vein, although a 'quick hit' can be effective, keeping your marketing going is crucial, and this is where ongoing support, that can be tailored to your particular circumstances, is invaluable...and where Marketing Club really fits the bill." "Marketing Club is good use of my time and budget"
“I am a member of Catherine's Marketing Club which is a fantastic opportunity to receive professional marketing advice, expertly tailored to my business, at a reasonable cost. 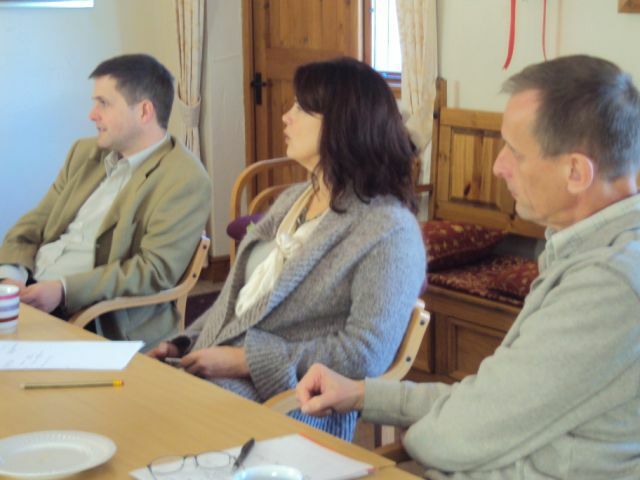 The club consists of a group of businesses with bi-monthly meetings facilitated by Catherine. These meetings are highly practical, informative and enjoyable. Club members also benefit from regular a one to one session with Catherine. These are an excellent follow-up to the group sessions. I can really see how my business is benefiting from this regular and focussed input. I also very much value the input of the other group members and find it an ideal forum to get honest feedback on my ideas and strategies. All in all, highly recommended.” A recommendation from Frances Taylor, Brightspark Training, posted on our LinkedIn page.